"The Internet and Politics in the Development of Hong Kong Defamation Law"
Introduction: As elsewhere, defamation law in Hong Kong is in a state of flux. This is so largely because modern information technology is changing the ways in which people, including journalists, communicate, disseminate and seek out information and opinions. 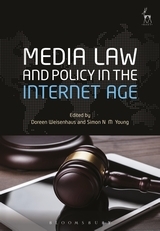 Although the impact of the new technology should not be over-stated and the pre-Internet era law is adaptable and capable of application in most cases, there can be no doubt that problems created by the new technology and new habits of communication are requiring a high degree of creativity from the courts to the point where statutory intervention may be unavoidable. Hong Kong defamation law is under pressure for another reason. The rules of defamation law seek to strike a balance between free speech and the protection of reputation, but these interests and the value attached to them change over time. In recent years there is evidence of increased expectations on the part of civil society for greater political freedoms, including freedom of expression. The one country, two systems model has worked well enough since the 1997 handover, but Hong Kong is facing new issues in its political evolution. In the absence of an accountable government, but in the expectation of one, a free and active press has a vital role to play in the transition to the next stage of political development. In Hong Kong, defamation law is governed largely by the common law. The Defamation Ordinance, dating to the nineteenth century and modelled on English legislation, is the principal piece of defamation legislation, but does little more than provide minor modifications of some of the rougher aspects of the common law, in particular the defences, many of which are relevant to the press. There have been no significant amendments to the Defamation Ordinance for decades, the few that did take place being cosmetic in nature. It is probably fair to say that the Ordinance has a ‘passed its use-by date’ feel about it. Indeed, a good portion of the Ordinance is concerned with criminal libel and procedure, provisions that are certainly outdated, not to say controversial, and not surprisingly have not been applied by the courts for decades. Leaving aside the need for substantive reform of defamation law brought about by changes in communications technology and changing social expectations, the Ordinance is in need of an overhaul, if only to give it a modern look and to make it more relevant. In the United Kingdom (UK), the jurisdiction with laws closest to Hong Kong’s, a package of defamation law reforms was enacted in 2013 to address some of the problems triggered by the new technology, as well as the problem of so-called ‘libel tourism’, a phenomenon derived from a perception that, because of its favourable jurisdictional and procedural rules and the low threshold for qualifying for substantial damages, the English courts had become the forum of choice of international litigants looking for a plaintiff-friendly venue to file their defamation claims. The 2013 reforms attempt to address that issue as well, while codifying and smoothing over some of the common law principles that were considered to be in need of tweaking. In Hong Kong there is as yet no talk of statutory reform, despite defamation laws broadly similar to those of the UK. Indeed, law reform is a rare event in Hong Kong in any area of the law. This generalised legal inertia is sometimes explained by reference to the laissez-faire, non-interventionist governance philosophy that has been practiced by a succession of Hong Kong governments both pre- and post-handover. More recently, and perhaps more accurately, it can be explained by a governance paralysis brought about by a fear of backlash from a public increasingly suspicious of any change initiated by a non-representative government that has for the most part lost the public trust. In this environment, it falls to the judiciary to initiate change in areas of the law thought to be in need of reform. Thus, defamation law reform in Hong Kong is by necessity a slow, cautious and to some degree random process, dependent on cases coming to the courts, but also constrained by the common law process itself, which does not permit of wholesale breaks with existing precedents. From a review of the post-handover defamation case law it can be seen that the Hong Kong courts, in particular the Court of Final Appeal, are prepared to take the lead and introduce change where it is needed. However, it may be asking too much of the courts to bear the full burden of law reform in the rapidly changing communications environment. Certainly, judge-made common law has advantages over legislation in that as computer software and other information technology continue to develop and become more sophisticated, the common law may prove a more adaptable process than legislation, which may have been completely overtaken by the new technology. On the other hand, it is hard to imagine how the courts can achieve reforms of the nature of some of those introduced in the UK’s Defamation Act 2013, for instance, the repeal of the statutory presumption in favour of jury trials, or of greater urgency, the abolition of the much-criticised multiple publication rule, which treats each new publication of a libelous statement as a fresh defamation, thereby re-starting the limitation period and perpetuating its actionability. This is surely a major issue in defamation law given the Internet’s capacity to multiply defamatory material over time. In this environment, statutory reform cannot be deferred for much longer. An excellent contribution, this surely is.